Published on Thursday, November 29, 2012. Each month we ask American Craft Council Library staff and guests to talk about what they love and use in the ACC stacks for our Five Questions series. In honor of our festive Library Salon next week, presented in partnership with the American Swedish Institute (ASI), we asked our event speaker, Dr. Faith Clover, to answer a special Five Questions on Swedish handcraft. Dr. Clover recently retired from the University of Minnesota where she had taught art education since 2000. 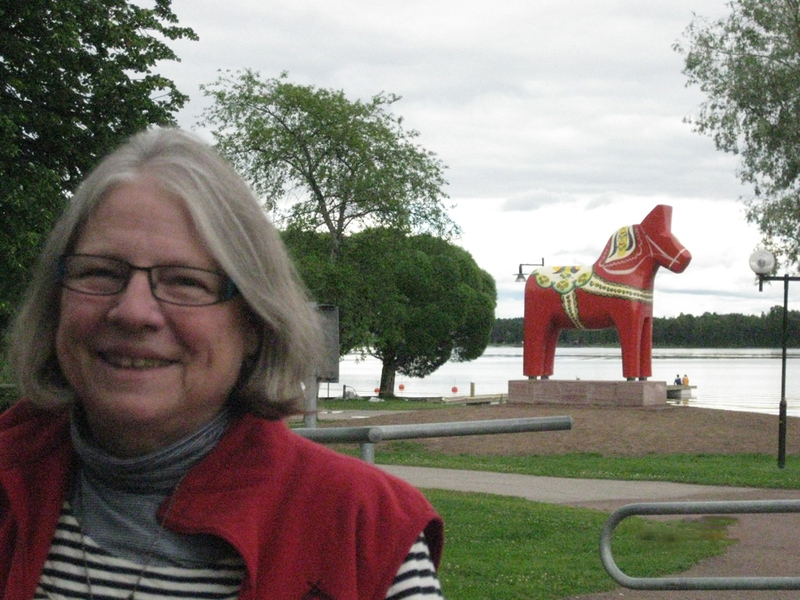 She taught a total of 40 years at the elementary and secondary levels, as district art specialist in Portland, Oregon, and at the university level at Arizona State University and the U of M. Since returning to Minnesota she has been an active volunteer at the ASI and practices many Scandinavian handcrafts as well as botanical painting. How did you first become interested in Swedish slöjd (handcraft-based education)? A few years ago a graduate student proposed studying traditional handcrafts by researching a class at North House Folk School. This interested me because I have always been fascinated with crafts and had recently taken a class on birch bark weaving at North House. I also had done a short internship at the ASI with a focus on Swedish crafts and Minnesota craftspeople. Through the course of my student's study, we learned of an international conference on slöjd in Sweden. I was able to attend this conference and had my first introduction to Sweden and the national commitment to craft education. Do you have a favorite type of Swedish craft? My interest in Swedish craft is very broad. It is hard to pick a favorite. I have done quite a bit of work with birch bark. 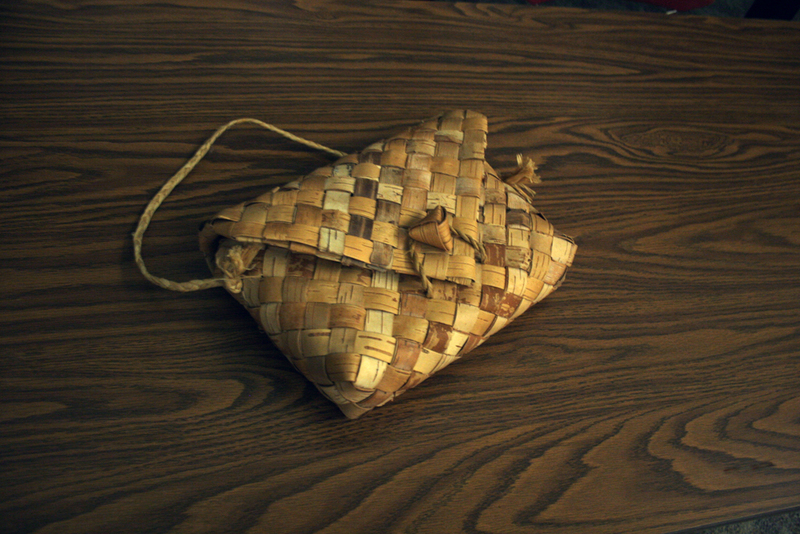 As a material, birch bark is very versatile, and I have made boxes, ornaments, purses, and shoes, for example. The bark is harvested from living trees (when possible) and peeled into thin layers for boxes or strips for weaving. Working with bark is relaxing, and I feel very connected to nature and to my Swedish heritage when working with it. Can you recommend any books for those interested in learning about Swedish slöjd? Most books on slöjd are written in Swedish, but there are many good books on individual crafts written in English. One of my favorites is Celebrating Birch: The Lore, Art, and Craft of an American Tree by North House Folk School. In addition to birch bark crafts, I also do flat-plane figure carving every week with a group of wonderful people at ASI, and I carve spoons. Wirework (luffarslöjd) is another craft that I learned at Sätergläntan, the school of the National Association of Swedish Handcraft Societies. 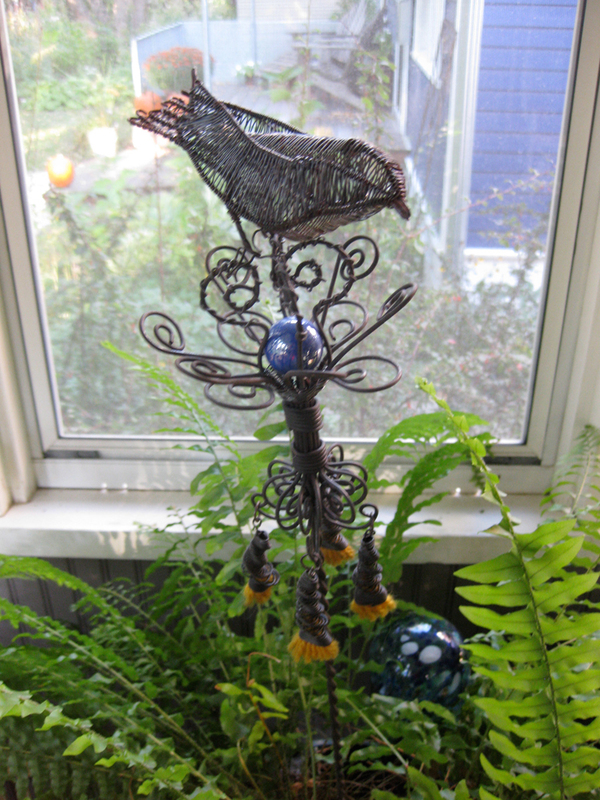 From common wire I make candleholders, flying birds, trivets, and many other objects. I love felting scarves, slippers, and bags, and I weave wheat into small ornaments. Some of these crafts I learned from master craftspeople at the ASI. If you could master a craft, what would it be and why? Since I have retired I have a studio where I can work with greater concentration. My primary focus now is botanical watercolor painting. It requires a high level of concentration and attention to detail, as well as knowledge of plant structure, color theory, and beautiful composition. So, I will continue to work in many areas of craft, but right now painting is my passion. Update: Thursday's event is now sold out. Check back on our website in January for our Spring 2013 Library Salon Series schedule of events or email [email protected] for more information. Dr. Faith Clover next to a Dala horse (Swedish: Dalahäst) statue in Mora, Sweden.